George T. Brosky, 87, Brockway, passed away Friday, February 08, 2019 at his residence after a lengthy illness. He was born October 29, 1931 in Clymer, PA, a son of the late Frank & Josephine (Novasat) Brosky. George was married to Yvonne M. (Coder) Brosky who survives in Brockway. George was in the Army during the Korean Conflict and has always been very proud of his Military service and more recently thankful for what the Veterans Administration had done for him. In addition to his wife, George is also survived by four children George (Linda) Brosky of Falls Creek, Cyndee (Benjamin) Williams of Brockway, William (Judy) Brosky of Falls Creek and Paul (Shelly) Brosky of Brockway, seventeen grandchildren and sixteen great-grandchildren. George was a member of the St. Tobias Church in Brockway. 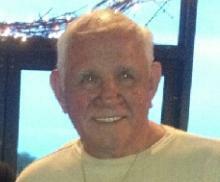 He was an avid BINGO player; he loved his coffee house sessions with ‘The Men” at J&M Auto Service garage, but his family and work were his life. He was self employed all his life having been a previous restaurant & sporting goods owner and had both a trucking & a railroad tie business. In addition to his parents, George was preceded in death by two sons Daniel & Thomas Brosky, a sister Ann Carney and four brothers John, Frank, Robert & Joseph Brosky. Vigil will be held on Monday, February 11, 2019 at 3:30pm at the Leo Nedza Funeral Home in DuBois. Visitation will follow from 4-7pm at the funeral home. Additional visitation will be held on Tuesday from 8:30-9:20am at St. Tobias Roman Catholic Church in Brockway. A Mass of Christian Burial will follow on Tuesday at 9:30am at the Church with Monsignor Charles Kaza as celebrant. Burial will take place in St. Tobias Cemetery were Military honors will be accorded by the DuBois Area Honor Guard.